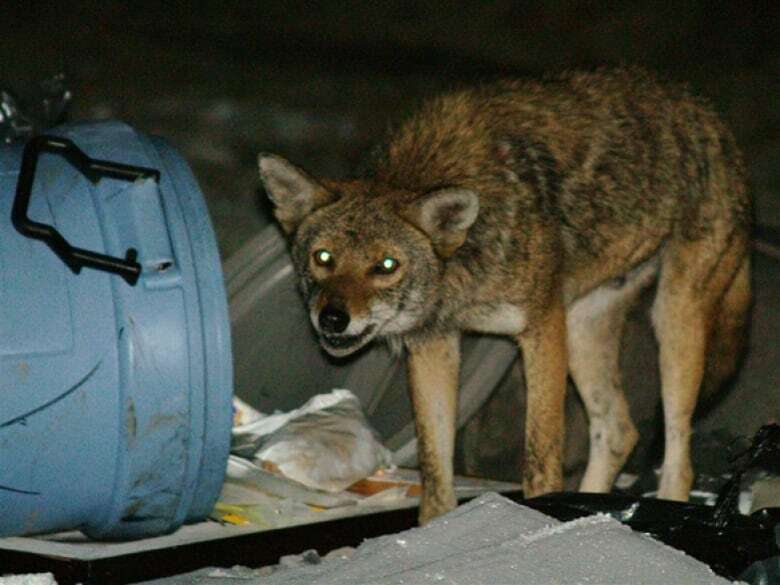 People in Collingwood say coyotes have killed dogs and cats and lashed out at people, and now one longtime resident is calling on the courts to intervene after growing tired of asking the town and local police to help. Collingwood, a picturesque waterfront Ontario town on Georgian Bay near the Blue Mountain ski resort, is one of a number of communities across Canada where neighbours are frustrated and scared, struggling to deal with aggressive coyotes, though a lawsuit is unusual. I live in the southwest desert, as TUAK regulars are probably tired of being told, and I and my neighbors are certainly outnumbered by coyotes many times over. But attacks on pets and livestock – except cats, which are nocturnal and mostly can’t learn elementary precautions in their brief lifespans – are rare and attacks on humans are unheard of. This is because coyotes are smart and adaptable and like life. And they have been taught – in no uncertain terms – that if you mess with the humans, you die. This guy, for example? He’d be toast around here. I don’t believe it’s still in effect but when I first moved here going on 13 years ago there was a bounty on coyote hides – and lots of people willing to collect. There are techniques for hunting them but it takes care and skill because the coyotes in a hunted community become extremely wary – and they’re smart. Coyotes aren’t looking for a fight, they just want to eat. So when a community of humans finds itself actually threatened by coyotes, it’s because those humans have been acting like food. Remove the prohibition on weapons. Remove the cultural taboo against active self-defense, while firmly punishing human-on-human violent aggression. Your coyote problems will vanish overnight. I don’t know much and nobody should normally come to me for advice about…pretty much anything. But that’s not rocket surgery right there. The only thing I’ve ever killed(beside bugs) was a coyote that got a bit too close and brazen looking at our livestock and toy poodles as possible meals. The nice thing about having lived in the National Forest at the time was that nobody even noticed one less predator, except maybe other coyotes who came across the dead body. Never had another problem. Well, when a vocal minority are allowed to dictate policy, i.e. coyotes, foxes, and wolves are just cute, cuddly misunderstood critters by the mean ol’ farmers and ranchers, you get them dining in your back yard on your pets. One thing that really stands out with stories like this, is the social engineering being done to my fellow Canadians. From cradle to grave, we are told that those in authority will look after us. Then, something like the coyote issue pops up and demonstrates what a sham that idea is. I’m not to far from Collingwood, and, when I go on long walks coyotes are something I encounter regularly. This fool isn’t bright enough to carry some pepper spray and a good old ash walking stick the way I do. Instead, he is upset that the authorities will not look after this problem. That’s the thing – we’re kind of taught that there are only extremes: Either you’re rocking body armor and an AK or you’ve agreed to dress in linen and let the government solve all your problems. Granted that I tend to go to one of those extremes myself, I live in an extreme place. There’s still the simple fact that anything you can wrap your hands around is a weapon and a stout stick makes a damned good one – but people won’t even do that. Oh FFS. People are dumb. Stop letting your small dogs and cats outside without direct supervision, don’t allow small children outside without direct supervision (really?? In this day and age of helicopter parents and you’re letting an infant crawl around without supervision??). Stop putting edibles in your trash and then leaving the trash where critters can get to it. Ugh. Even in more rural areas you get dumbasses. I recently trapped a stray cat and attempted to bring it to my local shelter. Their website says they take stray cats, $25 fee, no appointment required. However thats not what I was told when I actually showed up with said cat. Pointing out that their website says otherwise was ignored. And when I pointed out that feeding the coyotes was usually considered a bad thing they informed me that our local coyotes don’t eat cats. The sheer stupidity got to me at that point and left with the cat before they decided to call authorities. I KNOW the local coyotes eat cats, and I KNOW the local coyotes aren’t near enough afraid of humans, though they’re smart enough to run away when directly confronted. Hell, they’re smart enough to know when the dog is behind a fence and therefor isn’t a threat to them! What a maroon. They most certainly DO eat cats if they can get them. Smaller dogs are even easier in that they are fenced or tethered and can’t readily escape the pack. Even in Ann Arbor, Michigan an outpost of civilization and progress.